Gary Pallister is hoping that Real Madrid will sign Thibaut Courtois ahead of David De Gea in the summer. The Manchester United goalkeeper has established himself as one of the best goalkeepers in the Premier League over the past three or four seasons. However, De Gea’s performances have inevitably led to speculation suggesting Real Madrid could sign the Spanish goalkeeper at the end of the 2017-18 campaign. De Gea has been regularly Manchester United’s best player over the past few seasons to fuel speculation los Blancos could bring the 27-year-old back to Old Trafford. However, Real Madrid have also been touted with an interest in Chelsea FC shot stopper Thibaut Courtois as Zinedine Zidane looks to overhaul his squad at the end of the campaign. “His move seems to happen and then not happen every summer. “Courtois is also linked with Real Madrid, which I’d be delighted with. David De Gea is the best goalkeeper in the world. “Manchester City have brought in a new keeper that might not necessarily be the best goalkeeper, but he’s going to have a Premier League title. Manchester United signed De Gea in an £18m deal from Atletico Madrid in the 2011 summer transfer window. 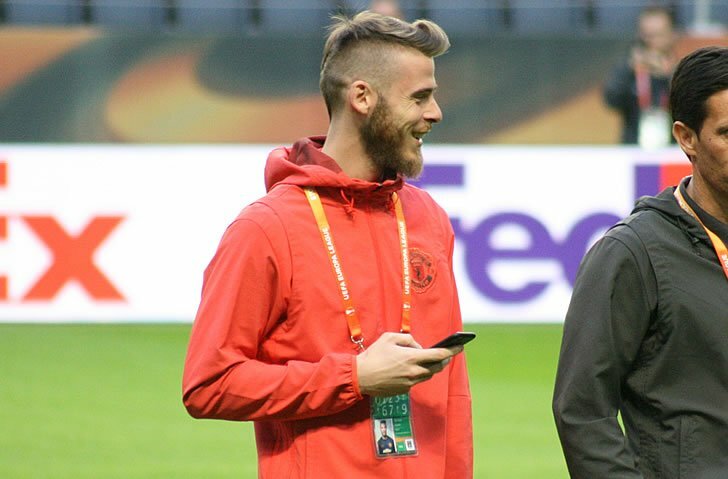 De Gea was signed to replace Dutch legend Edwin van der Sar between the sticks. The Spanish goalkeeper has won the Premier League title after the Red Devils finished top of the table in 2013.